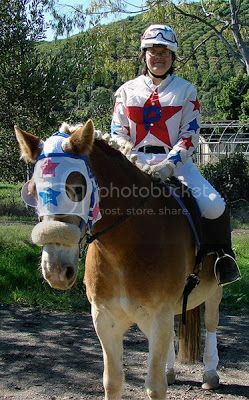 In celebration of Halloween and other Costume Themed Festivities...What are you and your horse planning to dress up as? 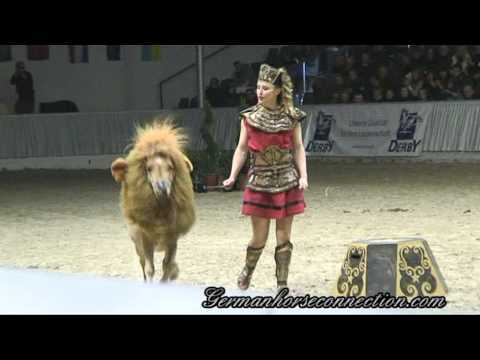 This is an amazing performance of a Lion Tamer and a "Ferocious" Lion! 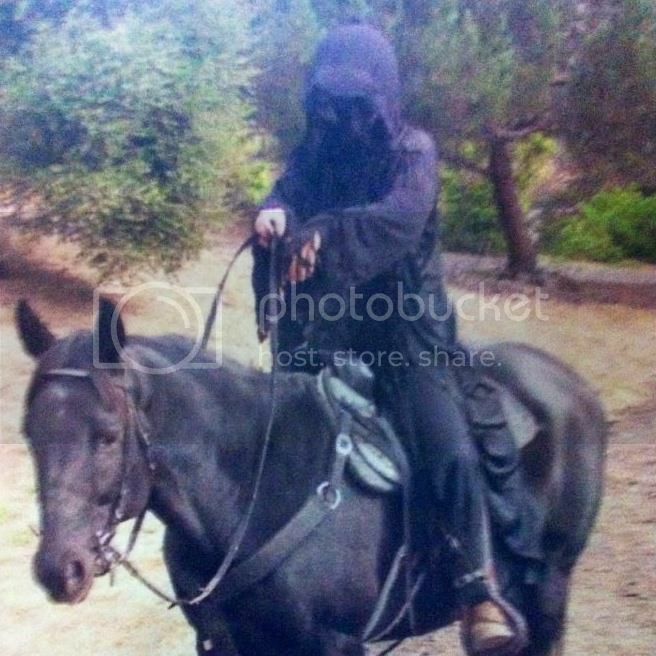 My barn used to do a Halloween costume party for a few years, and attendance was always really great. We usually held it the week before Halloween and would potluck, and do games and such in costume. But lately the turnout dropped off, and about two years ago, it was just me .. so ... last year we didn't have anything. I did have someone ask me if we were doing it again this year, but I didn't get enough commitments. Sauron sent out us to look for the One Ring, but we crashed your party instead. 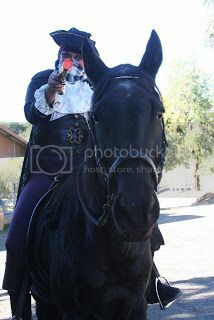 Stand and deliver ... your candy or your life! My horses are such good sports to put up with my shenanigans. 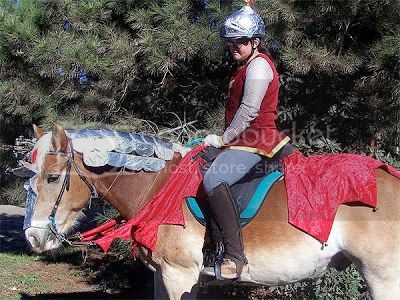 If I didn't think it'd freak all the other horses out, I'd finish Jet's driving training, train them as a pair and somehow get a chariot and go for the Egyptian theme. Maybe that can be a costume plan for a few years from now, if we ever get enough interest in the costume thing together again. 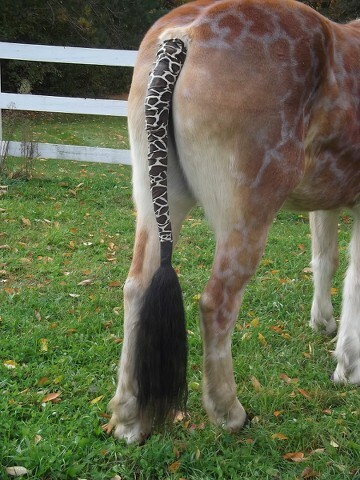 He's a loooooong suffering pony. I probably shouldn't show off the pictures of him in the cart at Christmastime. He had on the reindeer antler hat and the Santa halter fuzzies. Thankfully, he's so tolerant about things. It's the Haflinger way. My TB on the other hand would have said NO HALE NO! and put the smackdown on me. 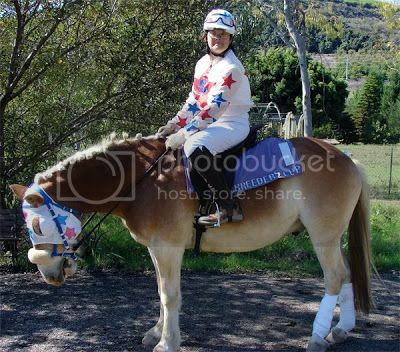 Hayflinger, I didn't realize you had Haflinger horse(s). That makes your Forum handle even better. I love it! 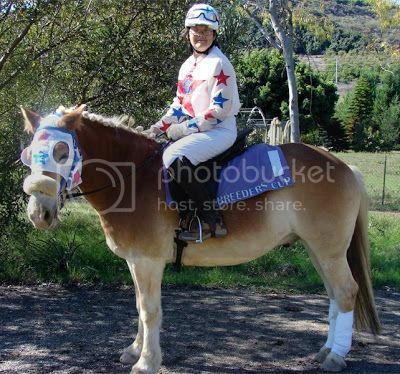 Oh, my, a Haflinger - yesterday I saw the horse of my recent dreams - a 13.8 hands, six-year-old, Haflinger gelding. He's perfect but now to negotiate his price. Wish me luck! 13.8 is uh.... not a measurement. Y'sure he isn't 13.3 or somewhere in the 14 hand range, because it goes 4 inches to a hand. There's 13.3 and then it goes up to 14, 14.1, 14.2 and 14.3. 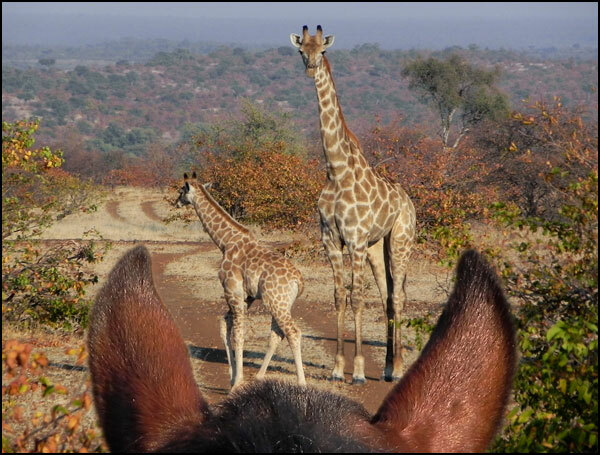 Haflingers, depending on breeding and area are usually pretty inexpensive these days. I got Mitch as a 9 year old, rides and drives for $2,500. 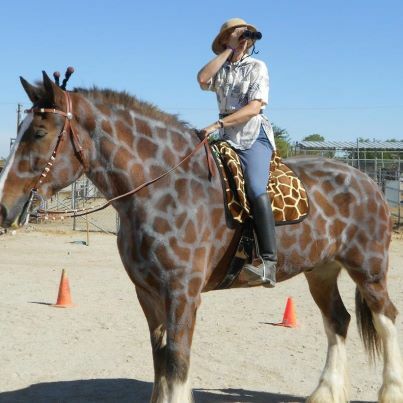 But that's also because they're not common in our area and he wasn't working out at the therapeutic riding center. He's got decent breeding, but too much pangare to have classified high enough not to geld him. Go for it, bigherbie. 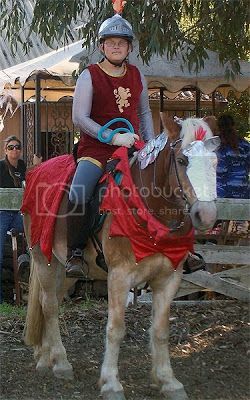 According to my book, Haflingers were created by the Ostrogoths in the 6th century by crossing Arabians with Alpine ponies. 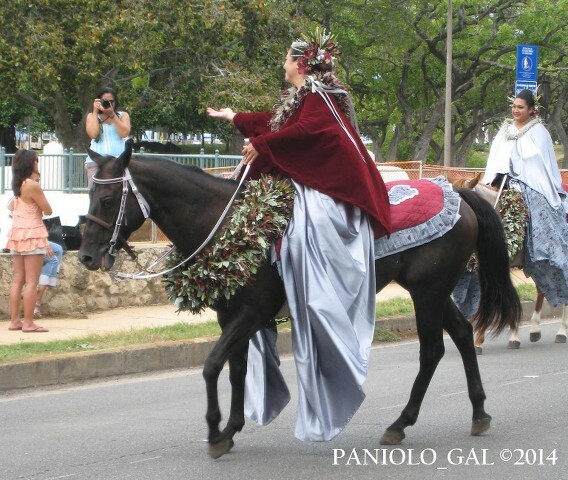 "They are always chestnut, ranging from rich gold to chocolate, with flaxen to white mane and tail.' They are "attractive, sturdy, small, exceptionally long-lived horses with an excellent disposition; rhythmic, ground-covering gaits." Their height is 13 to 15 hands. "Solid, yet elegant and refined." Quoted from Horse Breeds of North America; text by Judith Dutson. Sounds like a Haffie then. I like riding low to the ground these days, but he's got a big way of going so it's all fun. You should ask if he drives? Just you know, for the future. 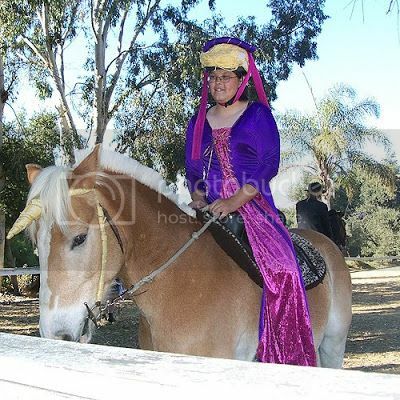 I love my M-line boy, but I think someday in the future, I want to get an N-line or A-line bred Haflinger, possibly a mare (or gelding, no real preference) The M-lines aren't really drafty or anything like the B-line is, but I got to ride an N-line gelding in Kentucky and they are incredibly refined and well built. 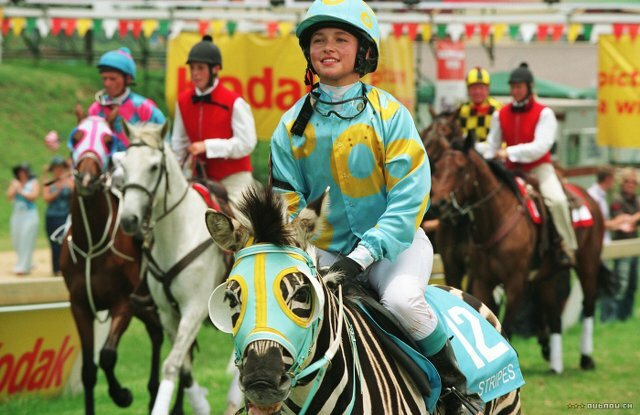 How is their trot? Smooth, or bouncy? I'd say quite smooth although I tend to post from habit. I love the lion suit idea. 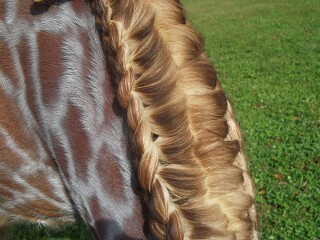 Very clever on a miniature horse. 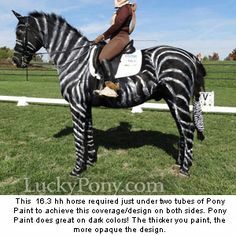 Not sure how it would work on a full-sized horse. 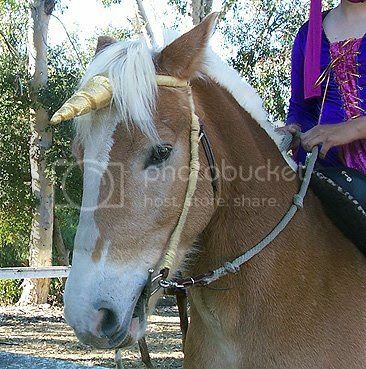 Love your costumes from previous Halloweens! Great creativity! 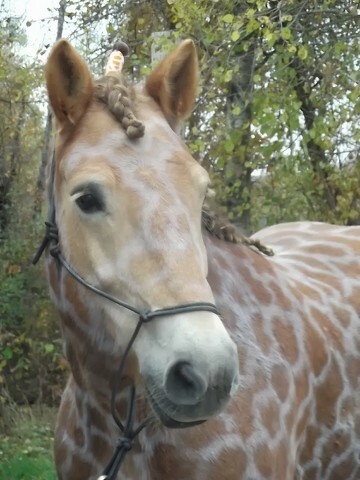 Braiding techniques to convert a horse into a giraffe! 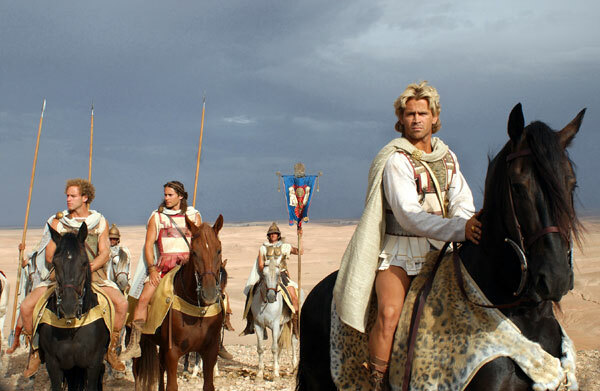 Alexander the Great with his beloved horse Buchephalus! 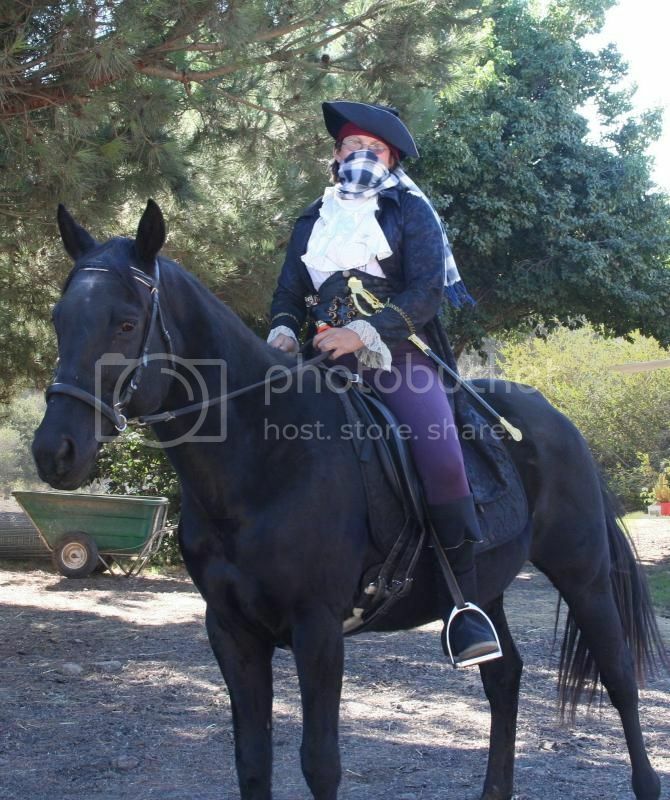 I think Buchephalus was a black horse with a star on his forehead! Since Jet is not inclined to accept too much make-up, this might be a good compromise as only a star on his forehead is needed. 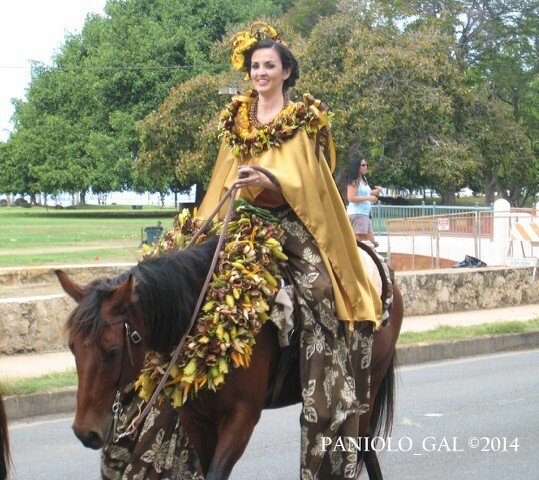 How about going as a Pa'u rider? 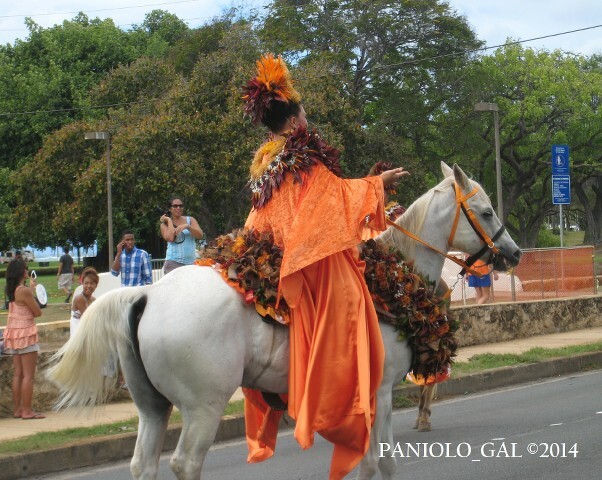 Remember the beautiful pictures of the riders that Paniolo Gal showed us a while back? Gorgeous. 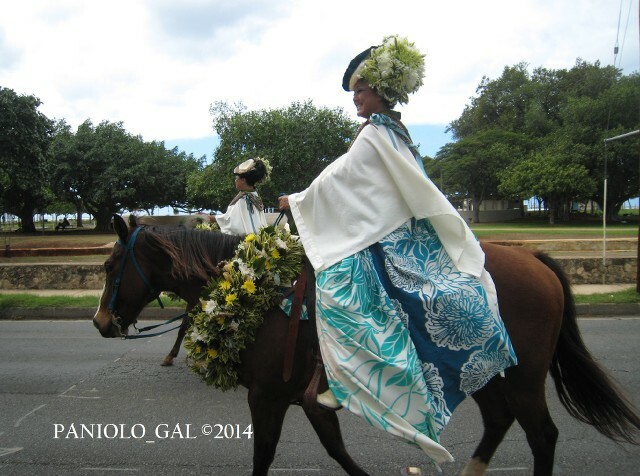 You could fake the culottes rather than trying to wrap them in the traditional manner, and you could use silk flowers to make the lei, headdress, and to ornament your tack. 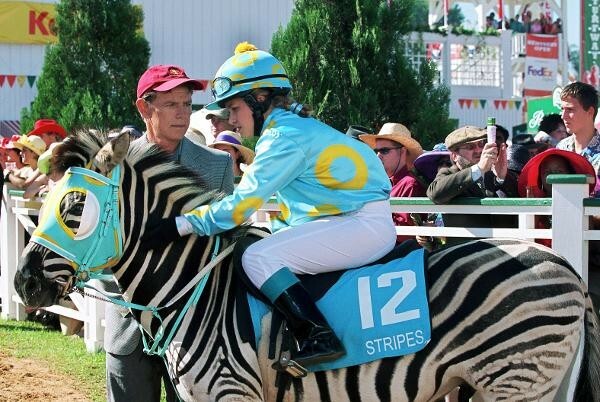 You wouldn't have to paint the horse, so maybe Jet would put up with it. You could easily make the outfit for Alexander the Great, as shown in the statue, but you can't fake the hunk inside the costume. Wow. That is some hunky guy. Wonder if it was the sculptor's imagination or if he had a model. Would like to meet the model. Hahaha Thanks for posting the link, PG. It's repeated below. Here's some more photos I took while attending a past Kam Day Parade. 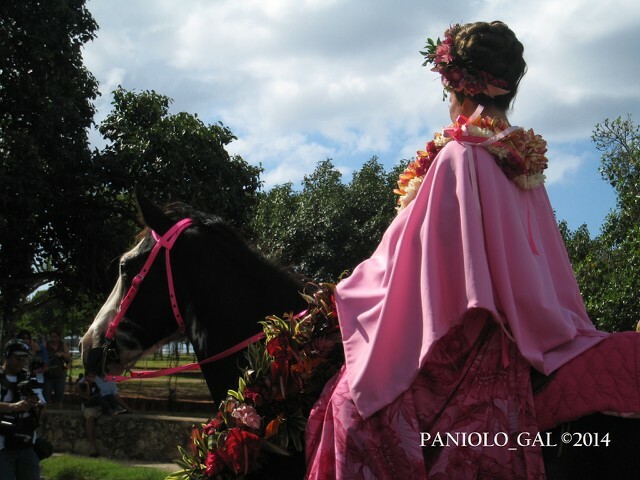 Please note that each Pa'u Princess is wearing the "colors" and "flowers" that represent each island. 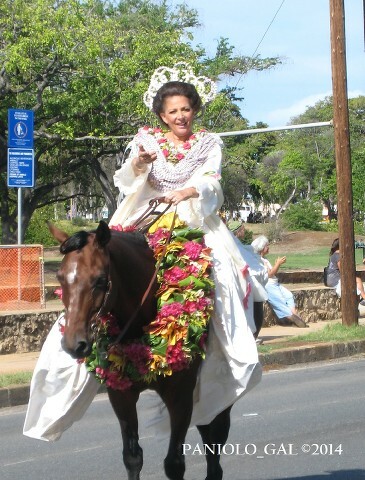 The Kam Day Queen wears an all white tiara and outfit, while each Island Pa'u Princess wears a floral tiara using her island's flowers with an outfit of solid colors consisting of a satin skirt draped almost touching the ground and a cape made of velvet. 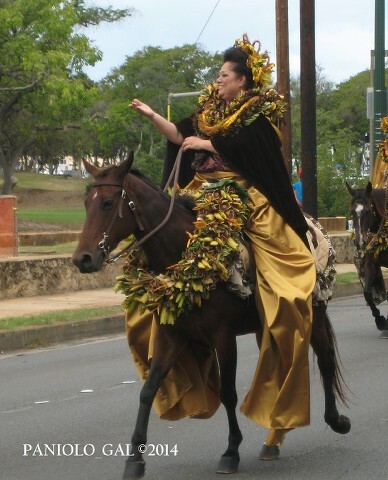 Her Pa'u Attendants wear a more informal hat or flowers in the hair with a printed draped skirt and a less luxurious fabric cape.